Ubuntu 12.04 LTS is a hugely significant release of Ubuntu Server, the most current platform for your compute needs. Not only is it a long-term support (LTS) release, meaning it is supported for five years, but it also includes all the new features we’ve spent the last two years developing and testing. 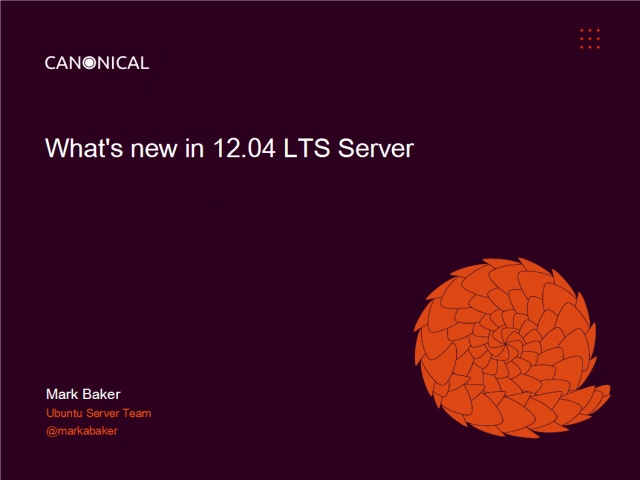 Join Ubuntu Server Product Manager Mark Baker to hear about some of the new features in Ubuntu 12.04 LTS - and what makes it the perfect platform for cloud and big data deployments.